SpamAssassin is an intelligent and powerful spam fighting tool. It uses a number of tests and criteria to identify and black spam. SpamAssassin is now available to users on the Doteasy Business Hosting plan, and can be accessed from the Doteasy cPanel dashboard. 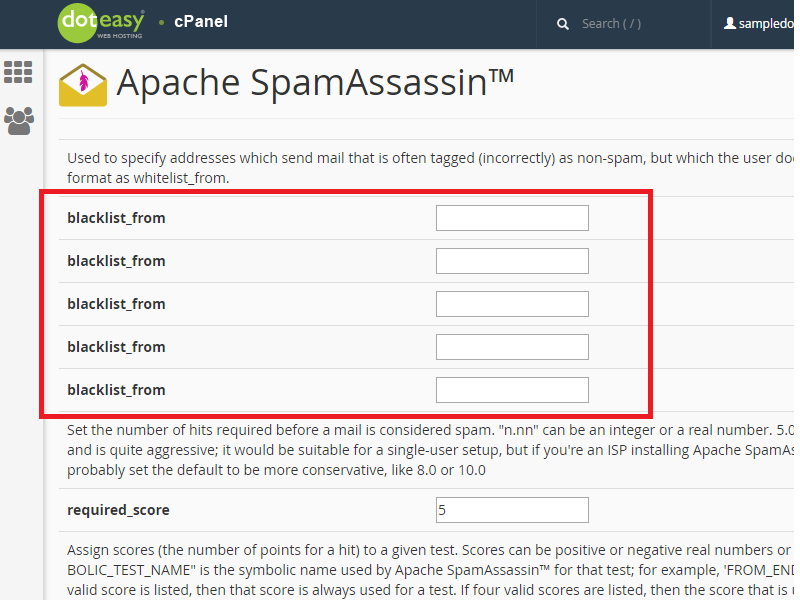 SpamAssassin uses a diverse range of network tests and spam filtering criteria to examine incoming mail. SpamAssassin scans the contents of each message before it reaches your inbox, searching for words, phrases and other formats common to spammers. Upon completion of the search, the message is then assigned a score – the higher the score, the more likely to be spam. By default, messages with a spam score of “5” or higher will be deleted. However, you can choose a different score, if desired. 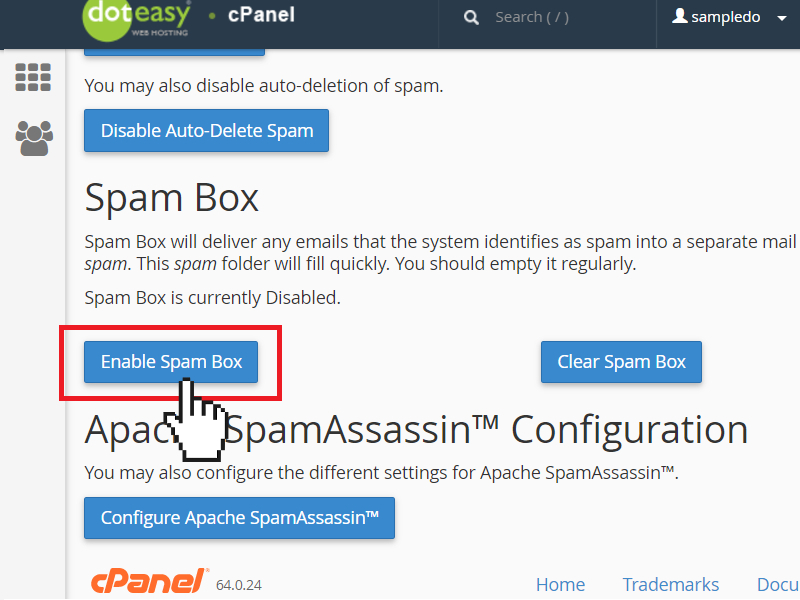 SpamAssassin allows you to automatically put spam messages in a “spam box.” Spam Box is essentially a spam folder on your email account – this is where SpamAssassin will deliver all the messages that has been flagged to be spam. From there, you can delete the spam, or if there is a false positive (ie. an email flagged as spam, but isn’t) you can move it out of the Spam Box. 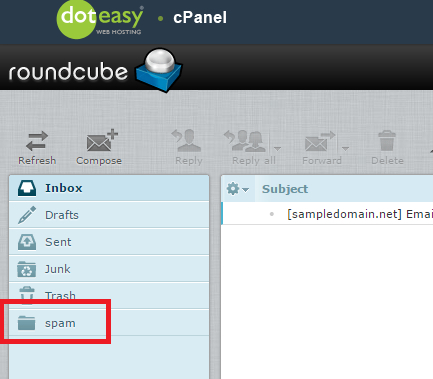 If you want to take advantage of the Spam Box feature, simply click Enable Spam Box. 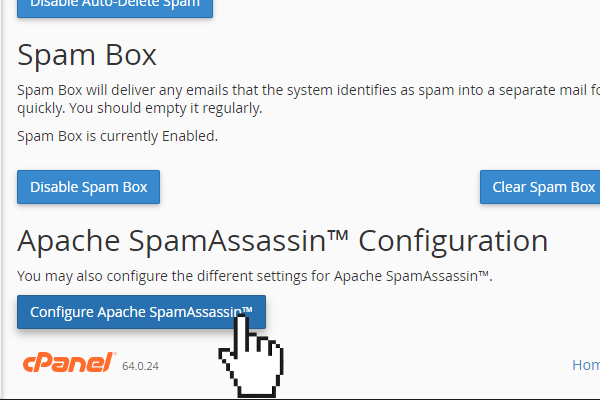 Once Spam Box is enabled, SpamAssassin will create a Spam folder in your mailbox. 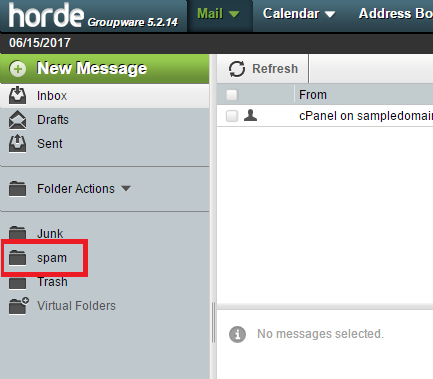 You can access the spam messages by logging into your webmail interface. NOTE: the spam folder can fill quickly. You should empty it regularly. You can use the Clear Spam Box button to delete all the messages in the spam folder. Once the Spam folder has been created, it will remain on your account, even if you disabled the Spam Box feature. If you do not enable the Spam Box feature but do enable SpamAssassin, SpamAssassin will deliver the flagged messages to your email account’s inbox normally, but not the spam folder. 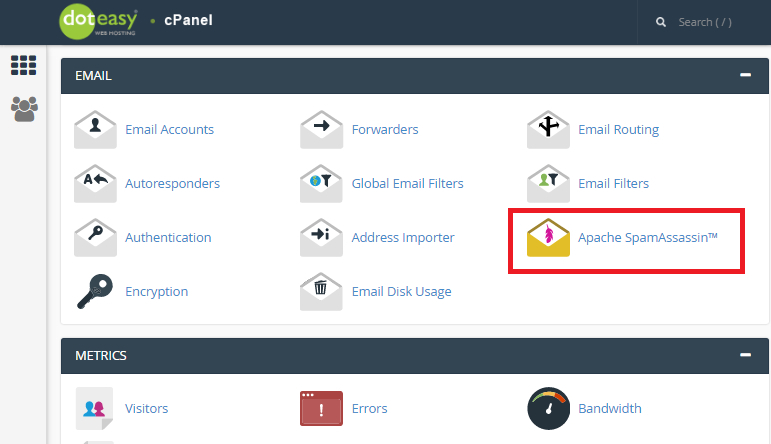 You can create filters for these messages using the Global Email Filters or the Email Filters features in cPanel. 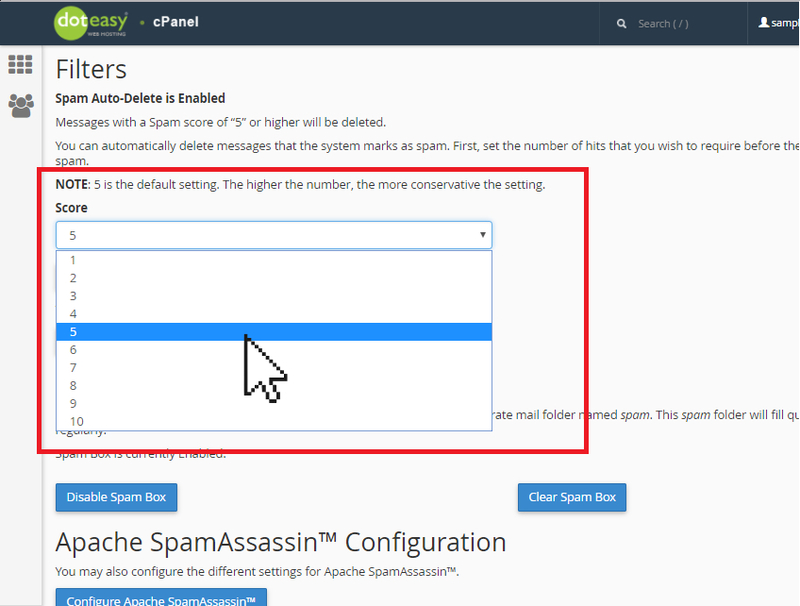 If you have experience using SpamAssassin, you can use the Apache SpamAssassin™ Configuration tool to further adjust your SpamAssassin filters. For example, you can use the blacklist_from tools to black specific sender(s).